I wish for a time to come when Pakistani actors will play their own characters for films like Raazi. The film faced a few delays to take off and the production was difficult because of filming on location in the Valley of Kashmir, which is a disputed region between India and Pakistan. 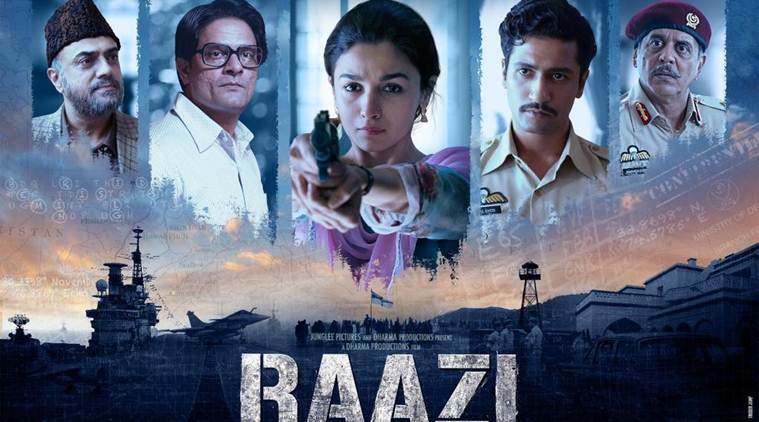 The star of the film is Alia Bhatt who plays the role of Sehmat, the spy who receives the training and gets married to a Pakistani soldier to infiltrate their family to gain the valuable information. Alia shows maturity in her acting capability and shines at almost every scene. Being a spy thriller you are waiting for the spy not to get caught and the best scene is when this is about to happen, but how she handles the situation by committing her first murder is heartfelt. Jaideep Ahlawat as the agent handler has done a fantastic job. Director Meghna Gulzar has not indulged in songs and dances or given high-flung action or drama. She remains grounded with showing reality and simplicity. The possibility of casting Pakistani actors to play their characters would be very interesting.